Hi Kirk, I keep waiting to learn that you actually did some shooting. Actually I've been quite busy shooting shooting basement pellet guns, centerfire (.44RM) and rimfire (.22LR) at the local indoor range, and reloading most of the .44s as I empty the cases. I really dislike indoor shooting, but it's better than nothing. Can't wait to make some BP smoke this summer, even if only a few times. I have guns I've never fired yet. I will be sending you a care package soon, assortment of 45-70 boolits, 44-40 boolits and a handful of 44-40 brass along with a couple of other things. Thank you...you, sir, are a gentleman and a scholar. Send me a PM or email when you get the box and we can talk more. So, what's more fun than a barrel of monkeys? 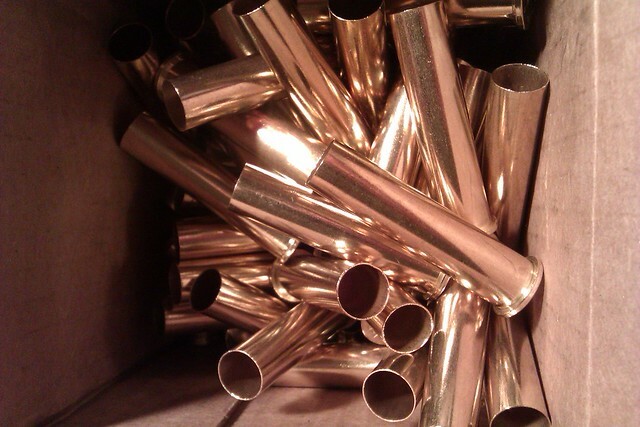 Why, a box of brass, of course! This arrived today; 100 brand-spanking new .45/70 Starline cases for building BPCR loads. This is so much fun, it should be ag'in the law. Careful, the loons may try to make it unlegal. I would suggest annealing the case necks of that Starline brass. As it comes, it is still a bit hard (at least it used to be). I sent a few Winchester brass in your care package; you should be able to get maybe 5+ more grains of BP in those as opposed to the Starline. I have only shot ffg or Goex Cartridge in my rifles. Some people cut back to fg powder when shooting the long, heavy bullets. Cuts down on recoil, at the expense of distance. Not much, but some. 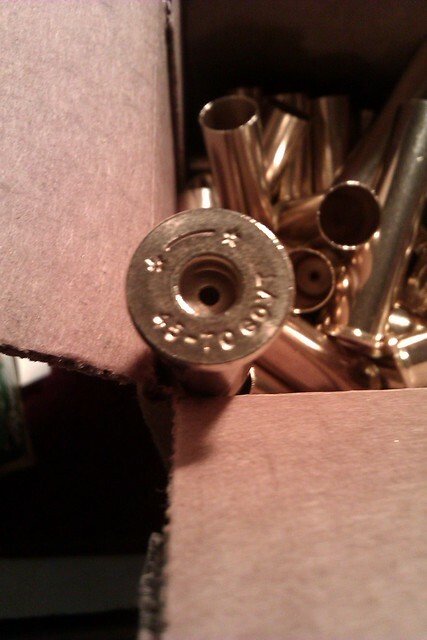 Yes, I've already been forewarned about the Starline brass being harder than others as it's the preferred brass for hot smokeless handloads, apparently. I already have some good info on annealing the cases and intend to do that, though I'm not sure if I will anneal before or after the first firing (planning on using the brass as fire-formed, not full length sized). It's been recommended I use Swiss 1-1/2F and Graf's carries it, so I'll start there. One of the reviews on the Starline brass stated that he checked volume and Starline held exactly one grain less than the Winchester brass. I'll check this out when your package arrives. Of course, one grain of 1.5F is larger than one grain of 2F, and the reviewer did not mention which powder granulation he was using. Love the look of these things with brass lock rings and all. Note the new shell holder (not included). 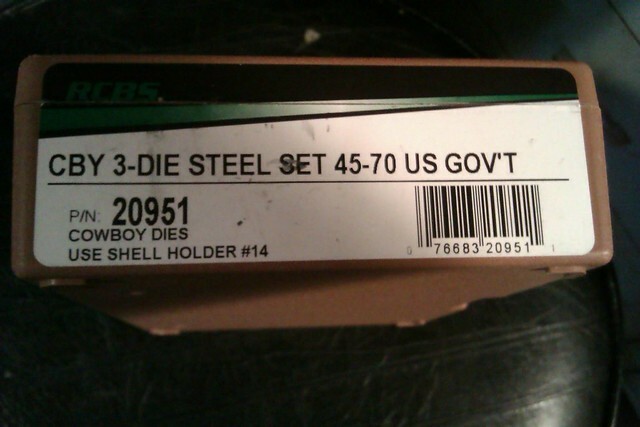 While I already have one with my standard .45/70 Gov't dies (for smokeless) I like to keep a dedicated shellholder in each die box. Close-up of the Cowboy dies. These are built to different specs than standard rifle dies to accommodate cast bullets and make easier loading as they size the cases a bit larger. 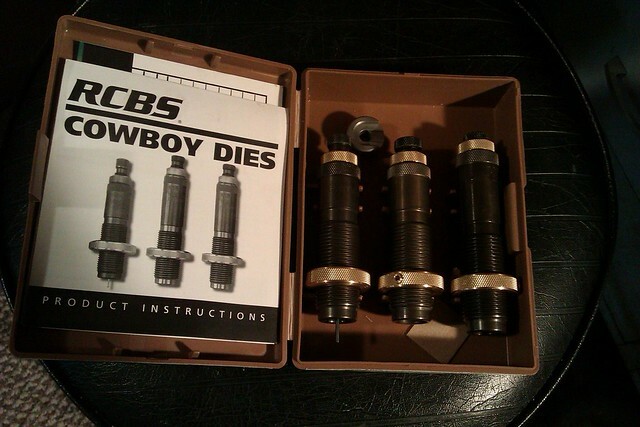 Cowboy dies for the .44-40 are on their way. 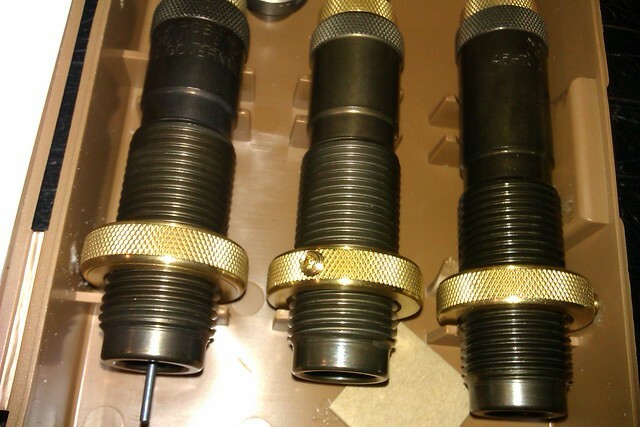 Those look great being brass and blued. You're a busy fella Capt. .45-70, 44-40, Hope you can squeeze some time in to shoot em'! It's on my must-do list this summer.